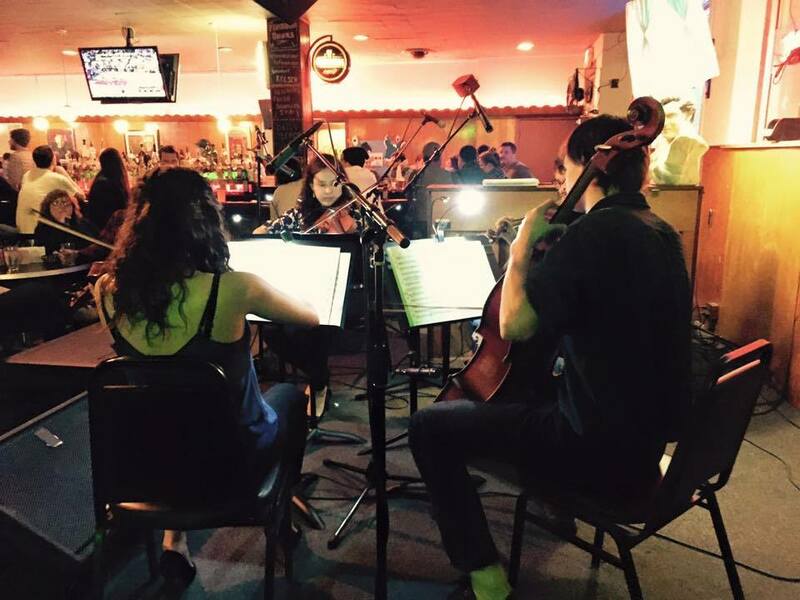 One of the MAJOR bonuses of having fantastic conservatories like CIM and Oberlin in the Cleveland area is how those programs impact the diversity and ever-changing cross-section of Classical Rev musicians. Many join our ranks during their time studying intensively, and a handful even stay on board, post-graduate school, and continue collaborating on great classical music projects in CLE! Meet Dianna. She’s working on a post-grad degree in violin performance at CIM: she’s a fantastic violinist (and human being) with a great story. Hi, Dianna! Tell us about yourself… Where are you from, originally? I’m originally from Greenville, South Carolina! I completed my Bachelors Degree at Vanderbilt University and a Masters Degree at The University of Texas at Austin. Living in both Nashville and Austin presented many opportunities to play different styles of music. I moved to Cleveland to pursue a post-graduate degree at CIM, so being a part of Classical Revolution is the perfect balance to a rigorous practice and performance schedule. Cleveland is a great place to be a musician, especially with a world-class orchestra on our doorstep. As a classically trained violinist, it is easy to get stuck “in the box.” I find that playing in many ensembles and all styles of music is the best way to further my skills as a performer. Any upcoming performances and recent notable events you want to share? I am giving my first solo recital in Cleveland on Monday, February 29th ! The recital is in Mixon Hall at the Cleveland Institute of Music. I’ll be playing music by Mozart, Prokofiev, and Faure. What are your thoughts on spreading the love of classical music with others? One of the most valuable parts of being a musician is to share music with the community, and to create the next generation of music lovers. Cleveland’s musicians are dedicated to outreach and I have several friends who are wonderful teachers. You’re here for now… but where do you see yourself eventually? The ultimate career goal for me is to end up in a full-time, professional orchestra. Playing in an orchestra is where I fell in love with music, and essentially the reason I am still playing violin. Today’s competition is quite steep, so I realize it may be several years before I win an audition. In the meantime, I plan on practicing and learning as much new repertoire as possible. I believe that the best musicians win auditions, not necessarily those who can play the fastest or the loudest! What’s your craziest performance memory so far? What about your most moving performance memory? I definitely have several moving/memorable performance memories, but the most recent has to be playing with Time for Three. I have all their CDs and wanted to go to one of their concerts for a long time. The orchestra festival I was a part of this past summer (2015) ended up playing a concert with them. It was a great experience to meet them and share a stage with such talented performers. What do you do when you’re not practicing or performing? I love yoga! When I need a break or some “me” time, I love going to classes at Cleveland Yoga. Off the top of my head, Lady Gaga. I have been a fan of hers forever, and I admire her dedication to music. She is not afraid to make a statement or push the limits. She also showed her true talent with performances of the classics (collaboration with Tony Bennett, and Sound of Music), but never tried to duplicate. I am continually impressed with her independence and originality as a performer. The people! I have met so many awesome people AND reconnected with some as a part of Classical Revolution. Making music with friends is priceless. Previous A night of new (and old) musical friendships. Next Musician Feature: Cellist Andris Koh!